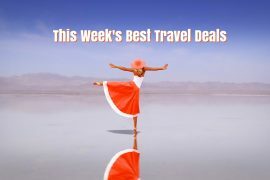 In my best travel deals this week I have a bargain break to Gran Canaria in October, an all inclusive cruise for the October mid term break, Christmas shopping in Las Vegas or Vienna, a California road trip, an incredible deal to Marrakech and an early booking family offer to the Pirates Village for July. Enjoy some hot sunshine at the popular Cay Beach Princess bungalows in Maspalomas, Gran Canaria from only €372 on the 19th of October. This deal is almost half price and includes flights, accommodation, transfers and checked baggage for seven nights! Try Vegas instead of New York for your Christmas shopping break this year. Fly from Dublin to Las Vegas on the 7th of December and enjoy a three night weekend stay at Circus Circus for a mere €465! Flight leaves Dublin early and returns late in the evening so you get three full days to enjoy Sin City! Looking for a stylish Christmas market break? Fly to Vienna on the 10th of December and spend three nights at the highly rated Enziana hotel for only €265 per person. Plan now for Summer 2018 and secure the best deals in the popular Pirates Village apartments in Majorca. Price for return flights and an apartment on an all-inclusive basis is only €2677, on the 26th of July, based on 2 adults and 2 children sharing. Looking for somewhere to go over the October mid term break? Check out this amazing all-inclusive Med cruise on Norwegian Epic! Price for flights, seven night cruise on a premium all-inclusive basis, gratuities and port taxes is only €1225! Scratch one off the bucket list and drive the Pacific Coast Highway from San Francisco to San Diego. Add in Las Vegas and you have the perfect California road trip. 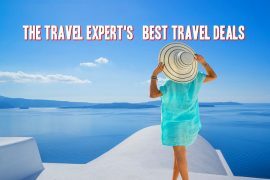 Price for flights, eleven nights hotel accommodation and full inclusive car hire is only €1559 per person. Prices are correct at time of issue but are subject to change. 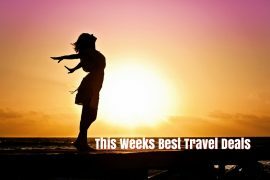 Note that some of my best travel deals links are affiliate links, where I receive a small commission if a booking is made. Next articleA 5 Star Weekend In Marrakech, 26th April, Flights & Hotel, 3 Nights, €225!